On arrival, we can pick you up! There are two houses 10 m away, The first has a bar, a TV lounge, a games table, a kitchen and a very large bedroom with private shower room. The second house has two bedrooms, each with private shower room. Cleaning is done every day, at no extra charge: the villa is rented with all its staff! A cook will prepare all your meals and the full board (to pay locally) costs only 12 euros for three hearty meals including a breakfast with eggs, bacon plate of fresh fruit, toast, butter, jam, fresh fruit juice press. Lunch and dinner with three courses, including mineral water and a large cocktail of fresh fruit juice every day. In case of day trips, you can bring a packed lunch if desired. The manager will be able to take you on an excursion in all the island, and the tariff of hiring except gasoline but driver included, costs only 25 euros per day. You can rent a scooter on site for around EUR 5 per day. Driving on the left in Bali. By scooter or car, Lovina beach is 5 minutes away. 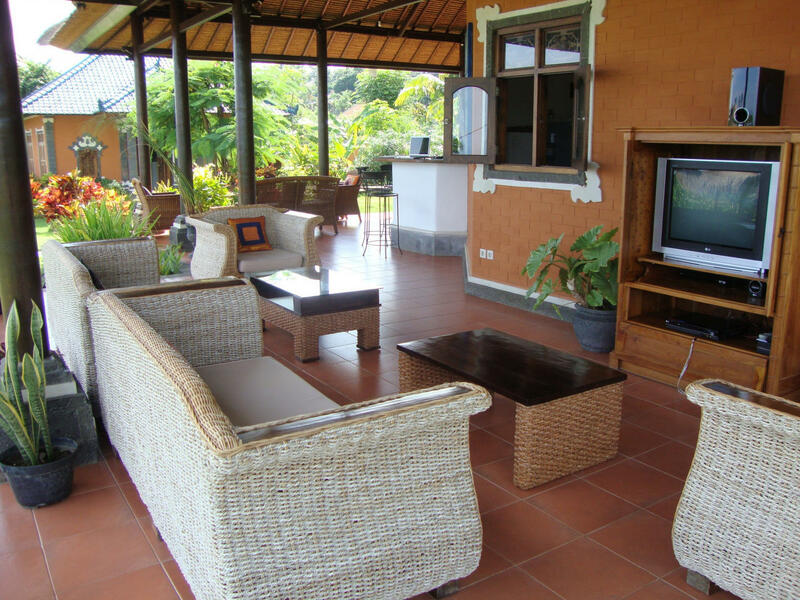 The villa has a dominant view in peace, in lush vegetation. 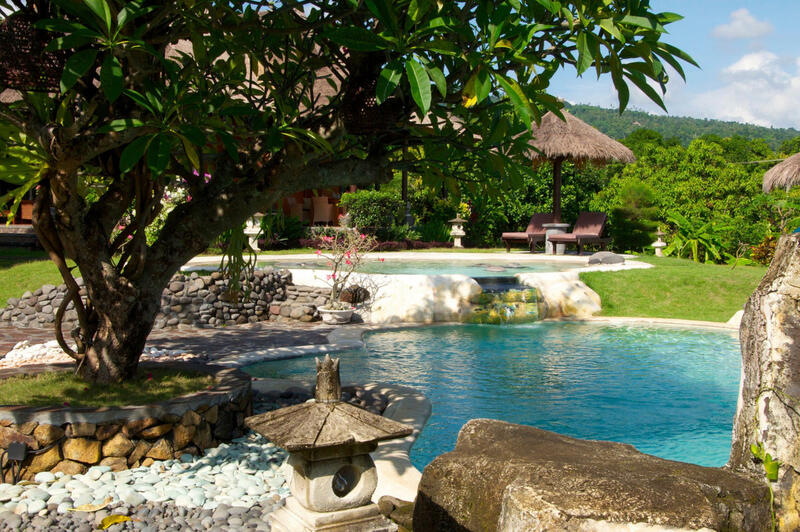 The manager will always be at your disposal for any request: in Bali, everything is simple!